Police are appealing for witnesses to an assault at a six-a-side football match in Eastbourne. The incident happened at Langney Sports Club, in Priory Road, sometime after kick-off at 9pm on Thursday, August 20. The victim, a 23-year-old man from Pevensey, suffered facial injuries while playing for Beesley McClean against the opposition named De Gea Bar. 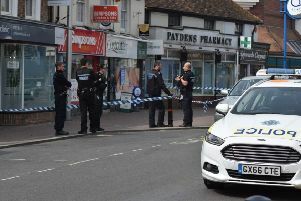 Sussex Police say a 27-year-old man from Hailsham voluntarily attended the police station for interview and enquiries are ongoing. Police are keen to hear from anyone who witnessed the incident – in particular anyone who may have a video recording of it. You can report it online or call 101, quoting serial 799 of 31/08.